Spider-Man: Into the Spider-Verse (film, 2018). 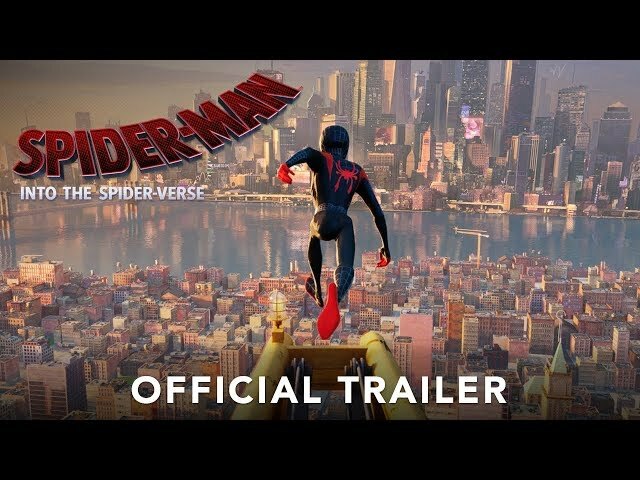 A 2018 American computer-animated superhero film with "PG" rating by Sony Pictures Releasing/Columbia TriStar Motion Picture Group. Directed by Bob Persichetti, Peter Ramsey, Rodney Rothman. Official Trailer. Spider-Man: Into the Spider-Verse is a 2018 American computer-animated superhero film directed by Bob Persichetti, Peter Ramsey and Rodney Rothman. 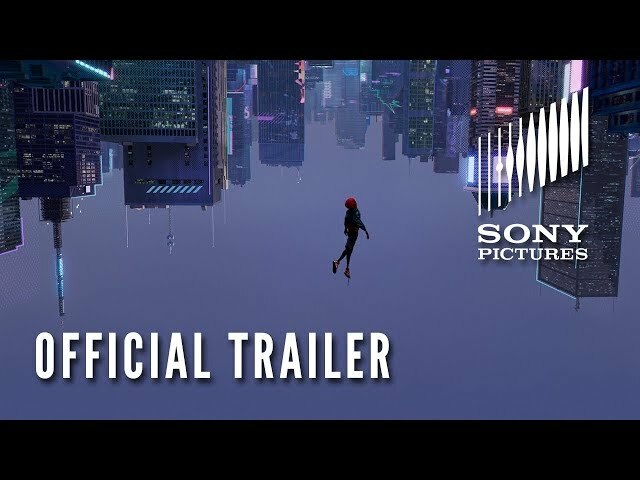 SPIDER-MAN: INTO THE SPIDER-VERSE - Official Trailer #2 (HD). Teenager Miles Morales struggles living up to the expectations of his parents, especially his father's, police officer Jefferson Davis, who sees Spider-Man as a menace. After school, Miles secretly visits his uncle Aaron Davis, who brings Miles to an abandoned subway station where he can paint graffiti. While there, Miles is unknowingly bitten by a radioactive spider and, the next day, discovers it gave him spider-like abilities, including a powerful venom blast and the ability to turn invisible. Miles returns to the station to search for the spider and unintentionally discovers a particle accelerator built by Wilson Fisk in order to access parallel universes to find alternative versions of his wife and son, who died in a car crash while escaping after they found him trying to kill Spider-Man. He tries to disable the accelerator while fighting two of Fisk's enforcers, Green Goblin and Prowler. During the fight, Spider-Man saves Miles from falling to his death and senses that they are alike. Green Goblin tries to kill Spider-Man by shoving him into the accelerator while it's running, which causes an explosion that seriously wounds Spider-Man and kills Green Goblin. Spider-Man gives Miles a USB drive to disable the accelerator and warns that the machine could destroy the city if turned on again. Miles then watches in horror as Fisk kills Spider-Man before fleeing from Prowler. Inspired by a speech given by Mary Jane at Spider-Man's funeral, Miles tries out his newfound abilities in a recently purchased Spider-Man Halloween costume, but in the process damages the USB drive. At Spider-Man's grave, Miles meets Peter B. Parker, an older and worn-down version of Spider-Man from another dimension whose Aunt May is deceased, and has been recently divorced from Mary Jane. Peter reluctantly agrees to train Miles in exchange for help stealing data to create a new drive. While breaking into Kingpin's research facility, they are confronted by Fisk's chief scientist Olivia Octavius, who reveals that Peter will deteriorate and die if he stays longer in their dimension. Miles and Peter are then rescued by Gwen Stacy, another dimension-displaced Spider-Person. Gwen, Peter, and Miles find Peter's aunt, May Parker, who is sheltering dimension-displaced heroes Spider-Man Noir, Spider-Ham, and Peni Parker, who are also deteriorating. Miles offers to disable the accelerator so the others can return home, but the responsibility quickly overwhelms him when the heroes test his underdeveloped powers. 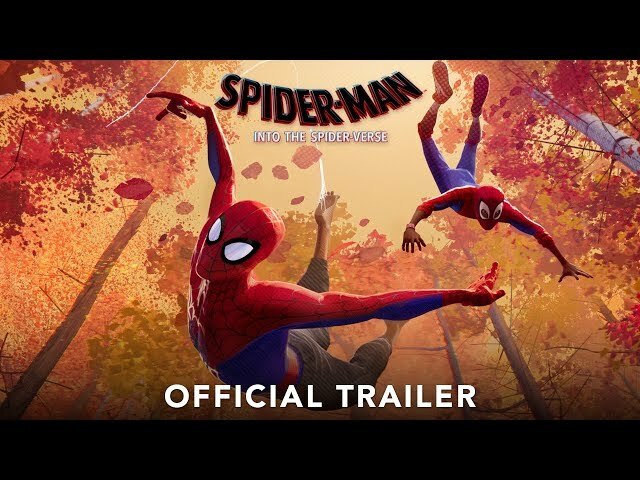 Peter B. Parker / Spider-Man: s Mr. Miyagi, if "Mr. Miyagi doesn't know anything" which they thought was a "really neat color to put onto Peter that we hadn't seen before"
The film Spider-Man: Into the Spider-Verse was scheduled to be released by Sony Pictures Releasing and Columbia TriStar Motion Picture Group on December 1, 2018 (United States), on December 12, 2018 (France), on December 13, 2018 (Czech Republic, Cambodia, Portugal, Singapore, Slovakia, Germany, Hungary), on December 14, 2018 (United States, United Kingdom, Bulgaria, Sri Lanka, Turkey), on December 20, 2018 (Brazil, Hong Kong, Italy, Netherlands, Russia, Ukraine), on December 21, 2018 (Spain, Mexico, Norway, Sweden, South Africa), on December 25, 2018 (Poland), on December 26, 2018 (Australia, New Zealand) and on January 10, 2019 (Argentina). The duration of the film is 117 minutes. With a budget of $90 million, the film grossed over $370.7 million. 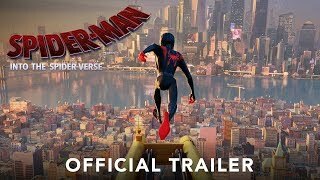 Spider-Man: Into the Spider-Verse got high rating from critics. The audience also likes the film. Audiences polled by CinemaScore gave the film an average grade of "A+" on a scale ranging from A+ to F.